When the going gets slippery, it’s comforting to know you have the power of all-wheel drive underneath you. With engine output sent to all four tires, an all-wheel drive vehicle can grip the road far better than a front-wheel drive or rear-wheel drive equivalent. And while most new-car buyers gravitate towards cumbersome SUVs and crossovers for the extra traction of an all-wheel-drive setup, the right choice from the car segment can offer just as much confidence on a rain-slick or snow-covered road. As an added bonus, all-wheel drive cars tend to offer a more comfortable ride, easier driving dynamics, and better fuel mileage than an SUV or crossover. With that in mind, we’ve put together a list of the ten best all-wheel-drive cars on the market for 2019. It should come as no surprise that our first entry for the 10 best AWD cars comes from Subaru, a brand that’s well-established for its plethora of standard all-wheel drive offerings. 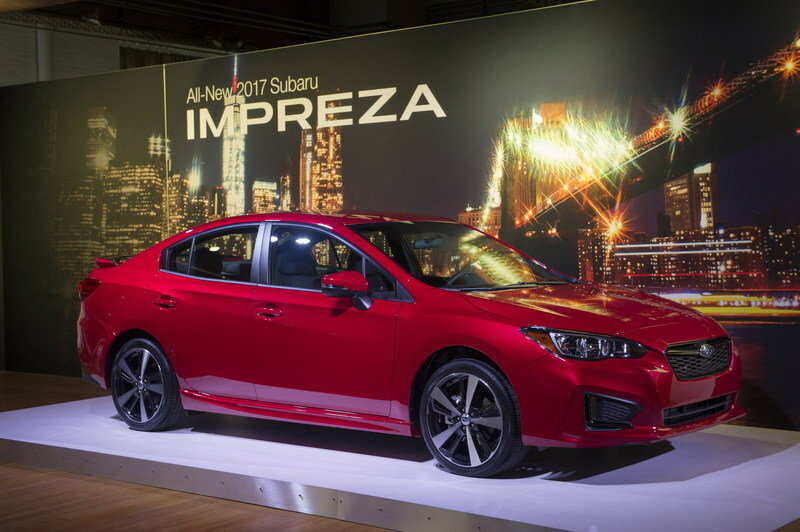 The Impreza is Subaru’s compact nameplate, with the most recent fifth-generation arriving in 2016. 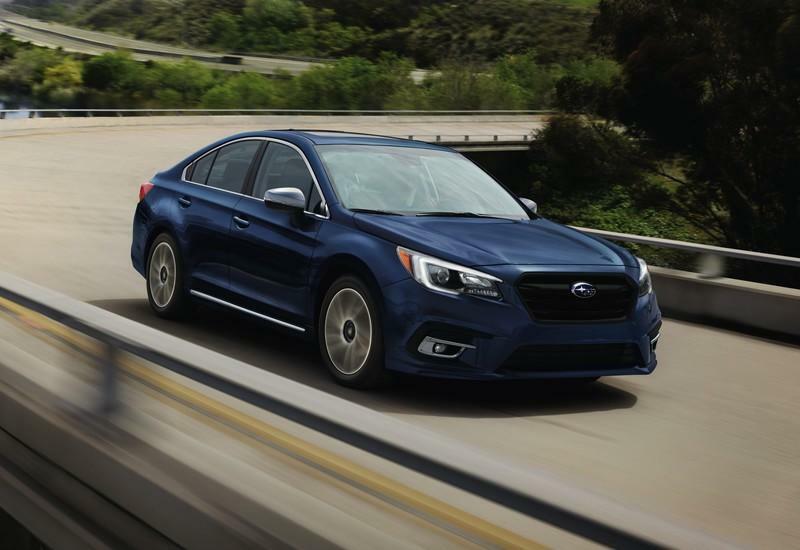 Available as both a four-door sedan and a five-door hatchback, the Impreza can be surprisingly practical, and with the latest infotainment features, top-notch safety ratings, and a comfortable ride, the cabin is a nice place to be. Behind the badge is a 2.0-liter four-cylinder engine, which connects to either a five-speed manual transmission or a Lineartronic CVT. Pricing starts at $18,595 and ranges as high as $25,690. Read our full review on the 2019 Subaru Impreza. 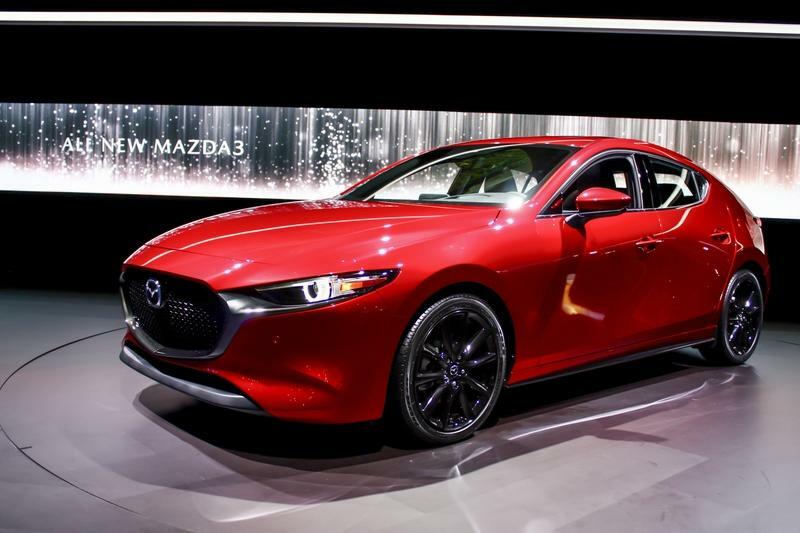 The Mazda 3 has always been one of our favorite compacts, offering stylish good looks, a sporty and engaging driving experience, and a stout engine package. Now all that goodness can be had with the added benefit of all-wheel drive. Offered as both a sedan and a hatchback, the Mazda 3 derives its motivation from a 2.5-liter four-cylinder engine, with all-wheel drive variants mated exclusively to a six-speed automatic transmission. The Mazda3 stands out thanks to its high-quality interior and sharp chassis tuning, but the ride can be a bit rough at times. Pricing starts at $24,000 and ranges as high as $28,900. 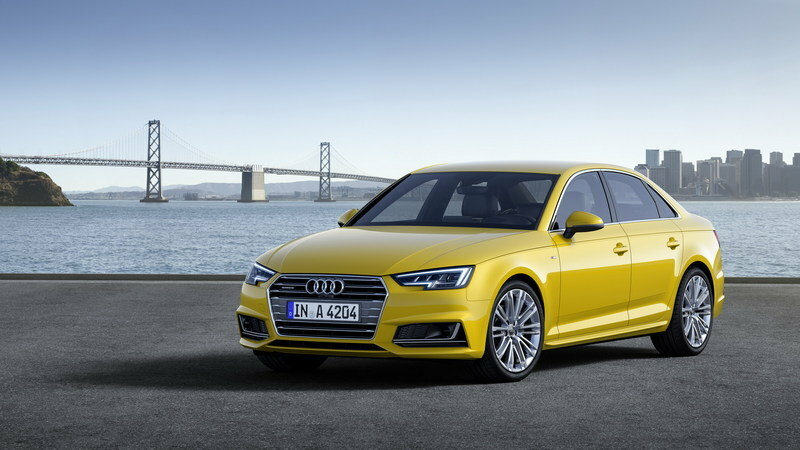 Audi is another brand well-known for its all-wheel drive system (quattro), and buyers can have it as an available option across the A4 trim lineup. Outside, this compact four-door hits the streets with some rather handsome styling, while the cabin is draped in high-end materials. Standout tech features include a standard 7.0-inch infotainment screen, Apple CarPlay, Android Auto, and Bluetooth support, while a 12.3-inch digital gauge display is optional. Under the hood is a 2.0-liter four-cylinder engine, which connects to a seven-speed S tronic dual-clutch transmission. Pricing starts at $42,000 and ranges up to $50,800. If you like the Subaru Impreza, but need something a bit bigger and a little more upscale, the Legacy is the one for you. The latest seventh-generation just arrived for the 2020 model year, and it’s bringing a new exterior style, the latest tech features, and a new turbo engine option. Apple CarPlay, Android Auto, and an optional 11.6-inch touchscreen are found inside, while the Subaru EyeSight driver assist suite is standard across the range. A 2.5-liter four-cylinder is standard, while a boosted 2.4-liter is optional. Exact pricing information is still forthcoming, but the 2020 Subaru Legacy is expected to start at a little over $23,000. Look for it in dealers in the fall. Read our full review on the 2020 Subaru Legacy. 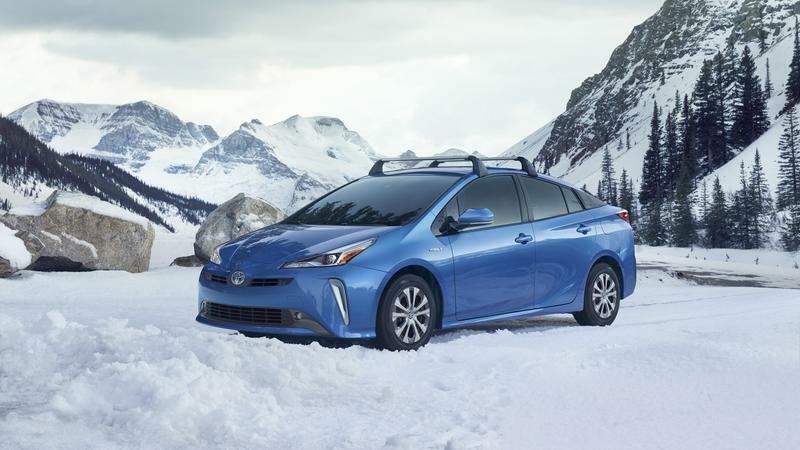 If you want all the benefits of all-wheel drive but without the fuel mileage penalty, then the Toyota Prius AWD-e might be the right fit for you. Revealed in Los Angeles for the 2019 model year, this is the first time Toyota has offered the Prius with anything other than front-wheel drive in the U.S. In addition to the standard hybridized 1.8-liter four-cylinder up front, the Toyota Prius AWD-e also adds in a secondary electric motor in the rear, which kicks in at low speeds to get the hatchback moving in low-grip conditions. Despite a little extra weight, the Prius AWD-e still manages an impressive 50 mpg combined. Pricing starts at $27,300 and ranges up to $29,740. Read our full review on the 2019 Toyota Prius. Volvo has had a bit of a renaissance in the last few years, injecting its lineup with a hearty dose of style and performance. The latest S60 sedan is one good example, offering up a slick new exterior and a luxury-laden cabin space to boot. Inside you’ll find a 9.0-inch tablet-style touchscreen with Apple CarPlay and Android Auto support, plus the option for a 12.3-inch digital information screen. Multiple powertrain options are on the table, while additional cargo room can be had with the V60 wagon variant. Pricing starts at $40,300 and ranges up to $55,400. 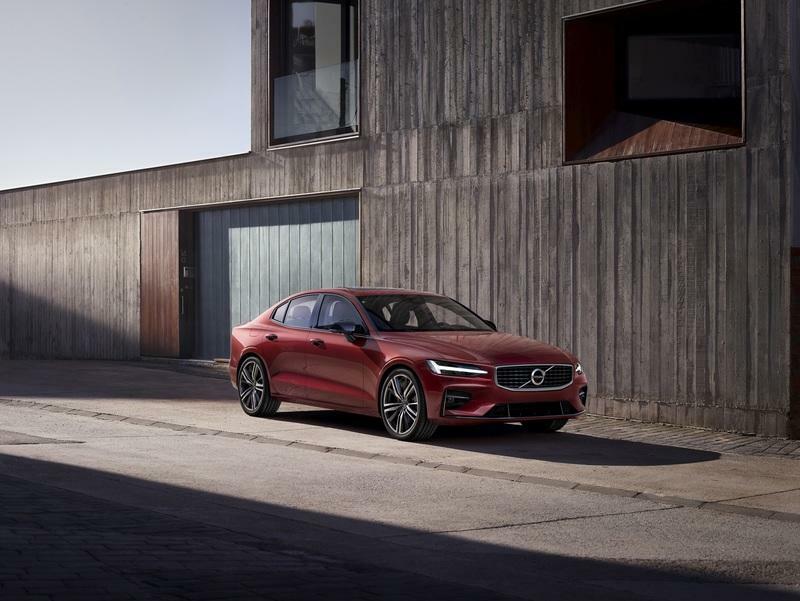 Read our full review on the 2019 Volvo S60. 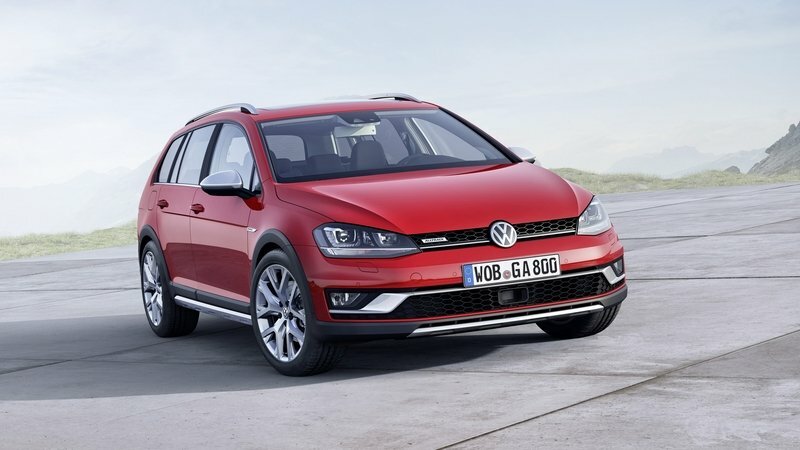 The Volkswagen Golf is one of the most iconic vehicles in the world, and the Golf Alltrack adds to that heritage with a go-anywhere attitude paired with all-wheel grip. Rocking a taller ride height and loads of cargo room, the Golf Alltrack is powered by a turbocharged 1.8-liter four-cylinder engine, while either a six-speed manual or a six-speed dual-clutch automatic sends it all to the 4Matic all-wheel drive system. The latest model year also includes a suite of standard driver assist and safety systems. Pricing starts at $26,895 and ranges up to $34,995. Read our full review on the 2017 Volkswagen Golf Sportwagen Alltrack. Finding a nice middle ground between the car segment and the SUV segment, the Outback is like a big, lifted wagon. It’s a bit like the Volkswagen Alltrack in that sense, but this Scooby is much bigger by comparison. 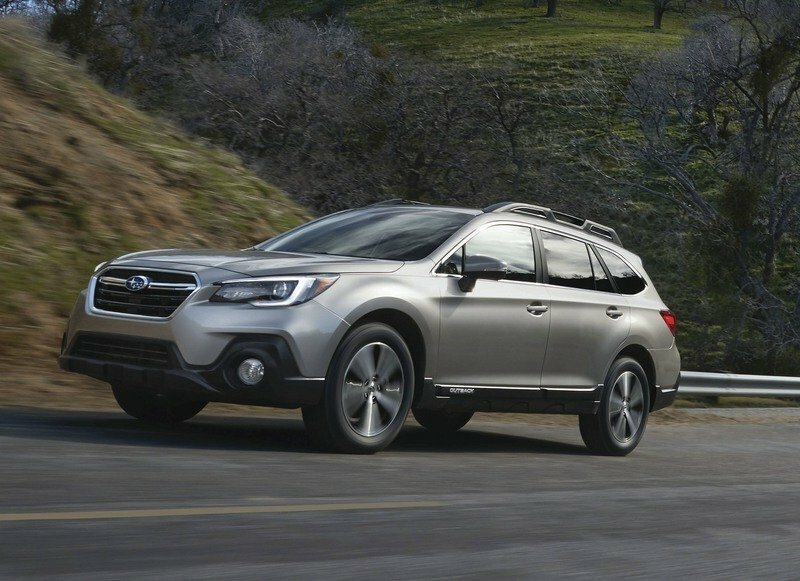 With 8.7 inches of ground clearance and up to 73.3 cubic-feet of storage, the Subaru Outback was designed to tackle just about anything you could throw at it. Providing the motivation is either a 2.5-liter four-cylinder or a 3.6-liter six-cylinder, both of which are paired to a CVT. Safety ratings are top-notch across the board. Pricing starts at $26,345 and range up to $38,995. 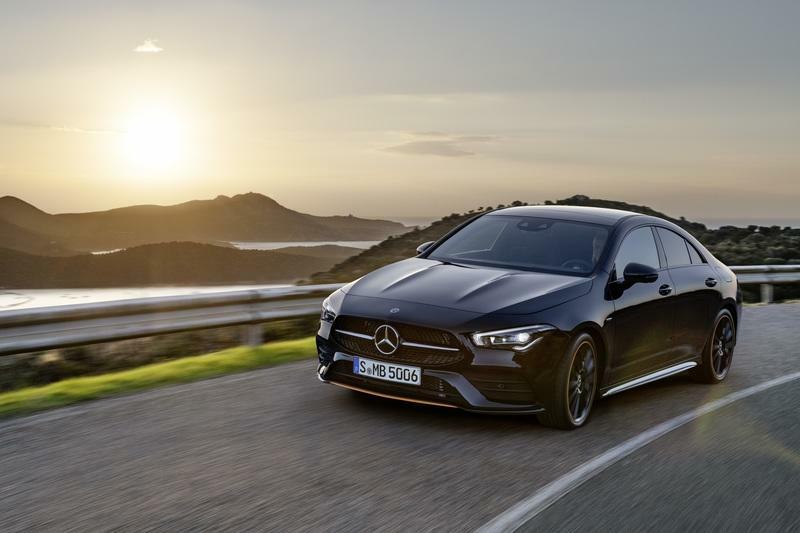 Merc calls it a coupe, but the CLA 250 4Matic is actually a four-door sedan with a jaunty roofline. And that means there’s space for up to five passengers in the cabin, plus a host of glossy luxury bits from front to back, including standard MB-Tex upholstery, 14-way power adjusting sport seats, and an 8.0-inch infotainment display. Apple CarPlay and Android Auto are both optional. Behind the grille, you’ll find a turbocharged 2.0-liter four-cylinder, while a seven-speed automatic transmissions handles the cog swaps. Pricing starts at $35,100. The 3 Series is an absolute standard for the BMW brand, and the latest G20 generation is no different. Offered with 14-way power adjustable seating, SensaTec upholstery, and wood trim, the base-model 330i is quite comfortable, while an 8.8-inch screen and the latest iDrive system keep you infotained. 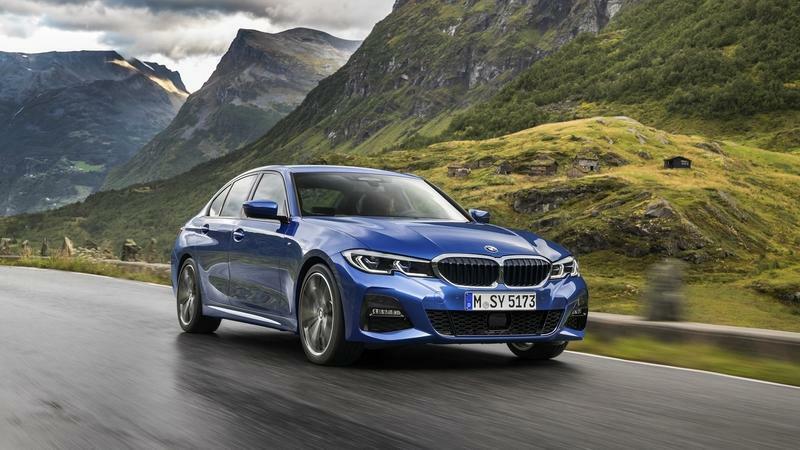 Making it go is a turbocharged 2.0-liter four-cylinder and eight-speed automatic transmission, while BMW’s impressive chassis and suspension tuning strike a balance between sportiness and comfort. Under the skin, the latest CLAR architecture is both lighter and stiffer than the previous generation. Pricing starts at $42,250.